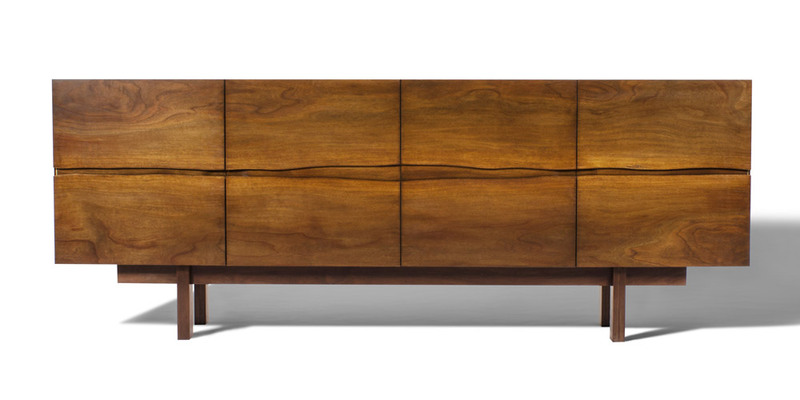 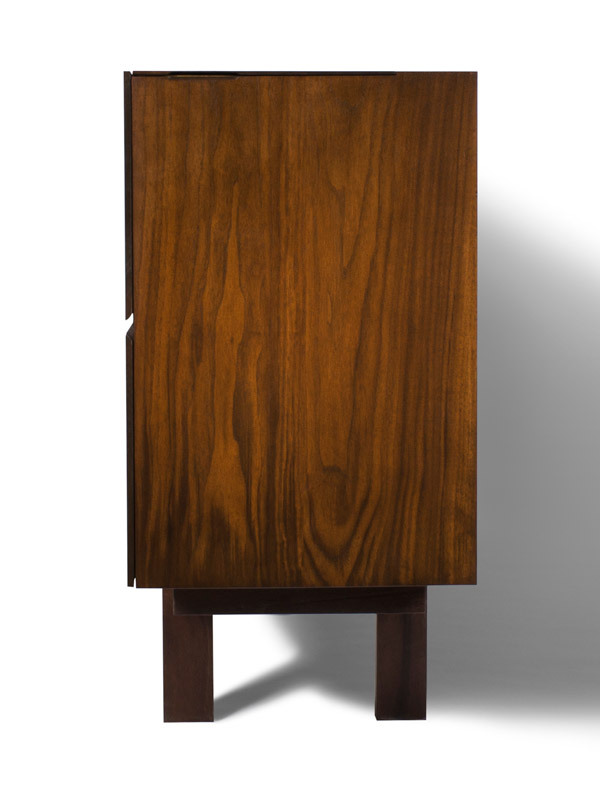 The t&e sideboard is a distinctive piece designed around a single piece of western black walnut. 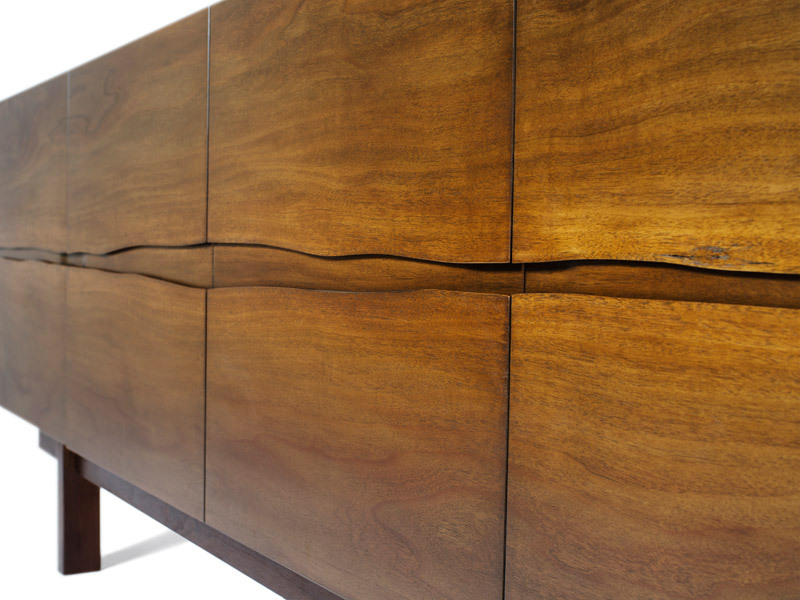 The live edges of the wood have been cleaned up and turned to face each other, creating a striking natural line throughout the length of the unit. 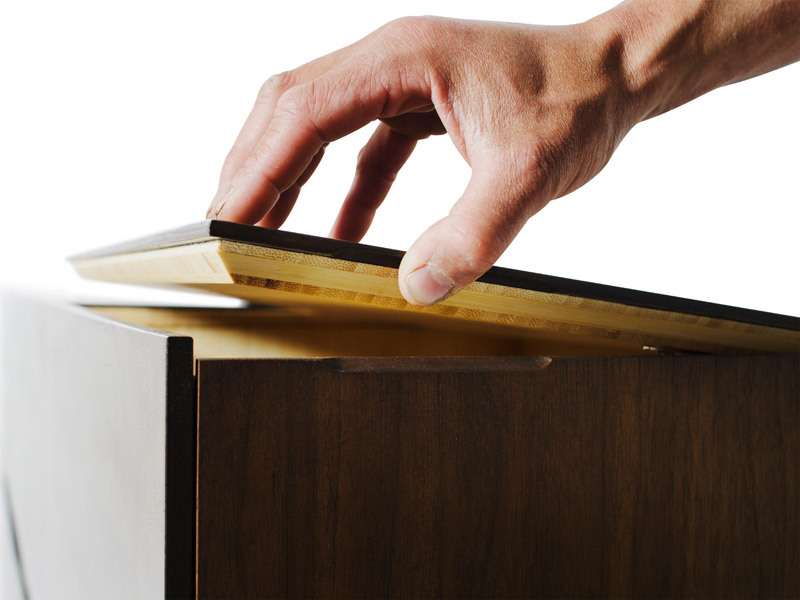 The live edges also act as handles for each of the four doors. 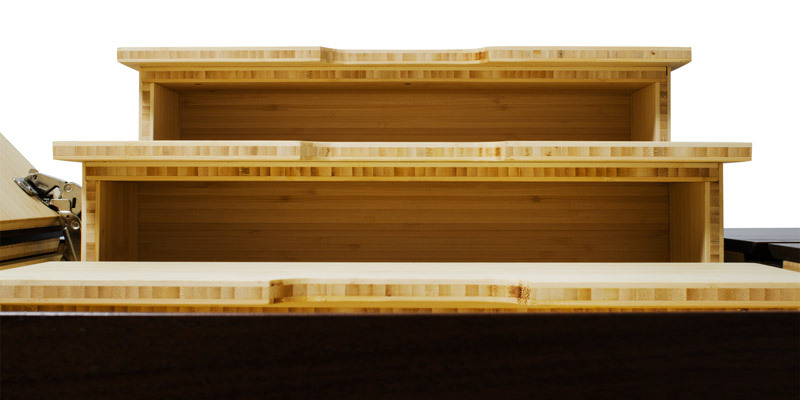 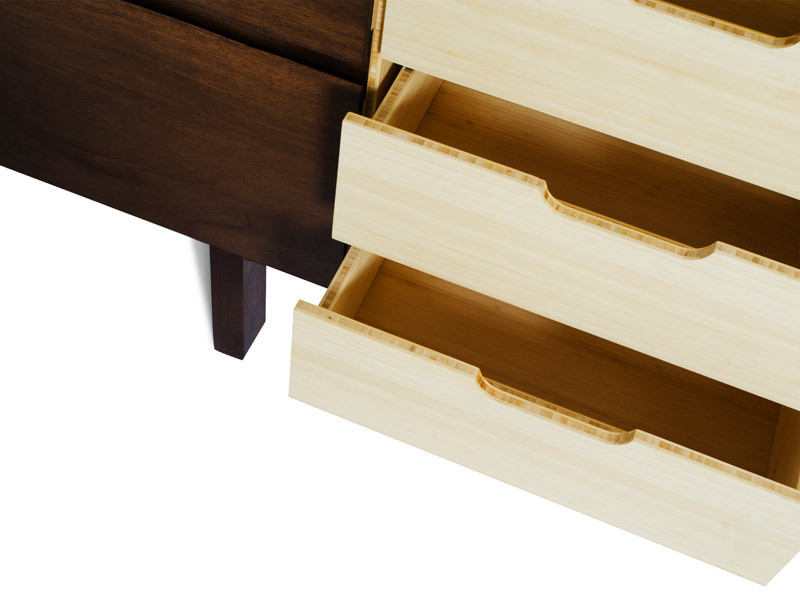 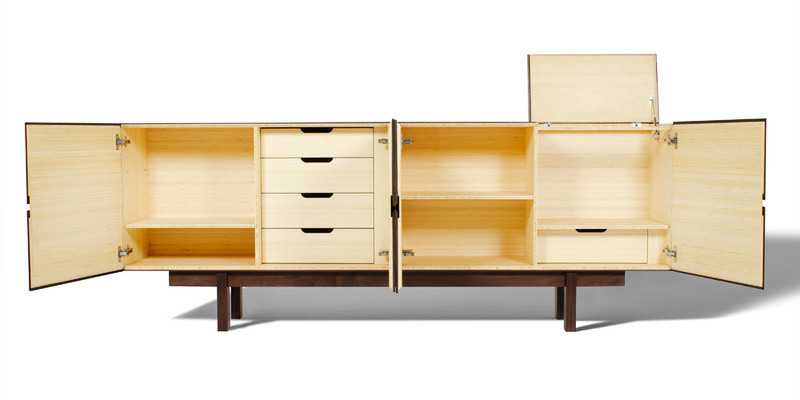 The interior of the sideboard is lined with a natural bamboo ply, and features a series of adjustable shelves and drawers.